Troop 6000, the first of its kind, is on a mission to bring the camaraderie, clout, and vision of the Girl Scouts of America to girls living in homeless shelters throughout New York City. 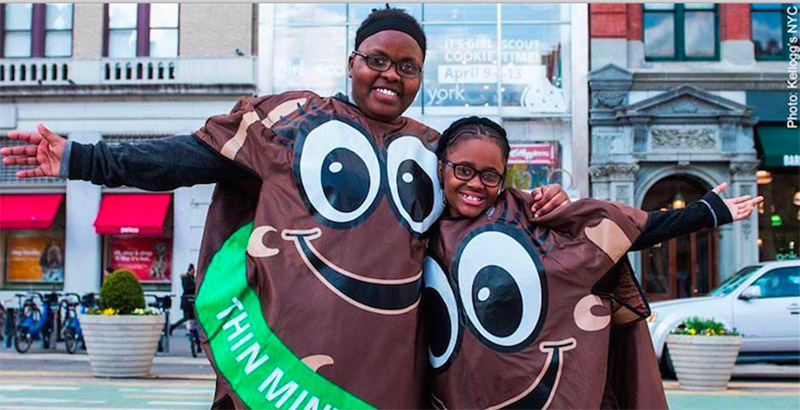 “We wanted to give them a space to just be, to make friends, to not be so conscious of their situation,” said Meridith Maskara, CEO of Girl Scouts of Greater New York, in an interview with Elle magazine about a career day held for the troop at the downtown New York Legal Assistant group headquarters. “Whatever happens, these girls have each other. We can give them that support, like, ‘I belong,’ ” Maskara said. Troop 6000 in New York City is a Girl Scouts troop which includes 500 girls & young women aged 5 to 17 living in #NYC homeless shelters. “People in Girl Scouts just tell me, ‘Try your best,’ ” 10-year-old Layla, who wants to go to law school, told Elle. And if the stunning success of the troop’s first cookie sale is any indication, the lessons of empowerment are working. It all started in February of last year, when the leader of Troop 6000, Giselle Burgess, drew eight girls to the first meeting where she and her kids were living — at a Sleep Inn hotel–turned–homeless shelter in Queens. Burgess, a single mother of five with a decent-paying job as a community liaison for the Girl Scouts, had lost her affordable rental home when the building was turned into condominiums. She pitched the idea of a shelter-based troop to the city. The city loved it. And, boy, did this Girl Scout troop hit the ground running. New Yorkers had been rooting for Troop 6000 from the start, but the girls quickly got major boosts on a national stage from celebrities and corporate America. In a heartwarming shout-out on The View last summer, Whoopi Goldberg emceed a gift-giving session, courtesy of Toyota, that included $75,000 for eight weeks at a day camp, laptops for every girl in the troop — and a car. Then, just before Christmas, The Tonight Show host Jimmy Fallon surprised Burgess on the air with two checks, one from the show for $6,000 and one for $50,000 from JCPenney to expand the troop, which had a waiting list. While the now hundreds of girls in Troop 6000 are proud to be pioneers, a group from Chicago picked up the torch on a smaller scale in November, holding the first meeting of Troop 25680, for homeless Girl Scouts, at the Primo Center for Women and Children in the city’s Englewood neighborhood on the South Side. Meanwhile, Troop 6000 is expanding into shelters throughout New York’s five boroughs, and an upstate camping trip is slated for the girls this summer.